Contents and Media: 16 parts in pale coloured resin; nine parts in clear resin; one length of steel rod. Conclusion: Excellent quality upgrade for Fisher Model's big Sea Fury, and may be adapted for the Hobbycraft kit. The original release of Fisher Models' gorgeous 1/32 scale Sea Fury offered unfolded wings as standard. 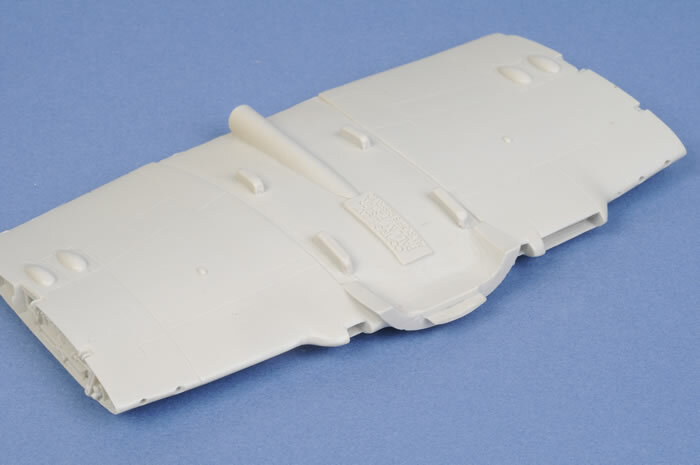 Later releases included a revised unfolded wing cast in one piece with the wheel well in place. Fisher Models has now released a third version of their Sea Fury wing, designed to be built folded. 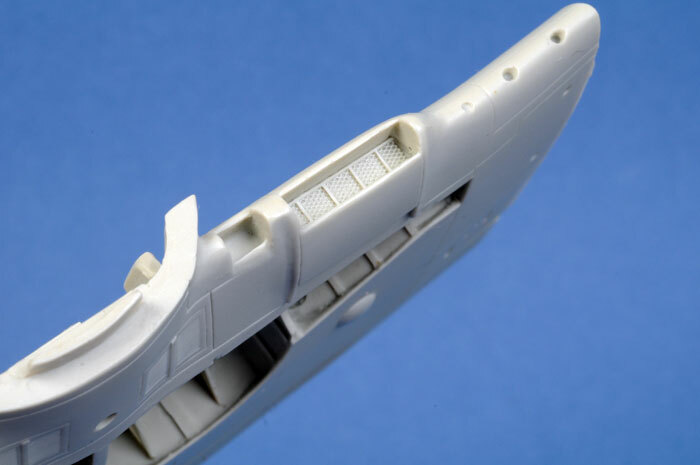 This wing is available separately from Fisher Models for USD$39.95, or as a no-cost option on their new 1/32 scale Sea Fury two-seater trainer kit. 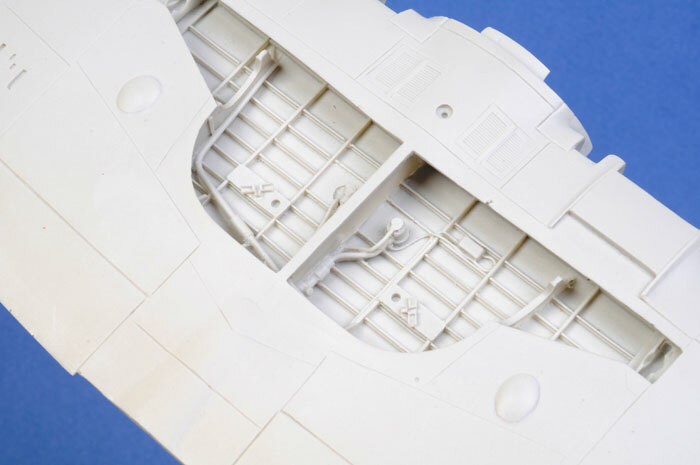 Fisher's 1/32 scale Folded Wing Set comprises 16 parts in pale coloured resin; nine parts in clear resin; one length of steel rod and detailed instructions packed lovingly in a stout cardboard box. The three key parts are the wing centre section and two outer panels. These are all cast in one piece each. Detail is not compromised in any area. The wheel wells and wing folds feature excellent detail. Even the radiator is crisply cast with a convincing grille deep inside the wing leading edge. The wing fold details and cannon stubs are supplied in resin too. Cleanup will be a breeze, with the larger parts ready to use almost straight from the box and the smaller parts cast onto a resin strip. 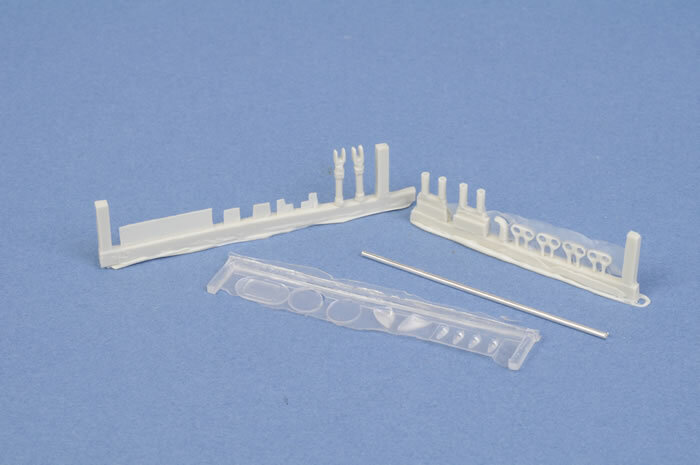 Nine parts in clear resin are also supplied for landing and navigation lights / lenses. 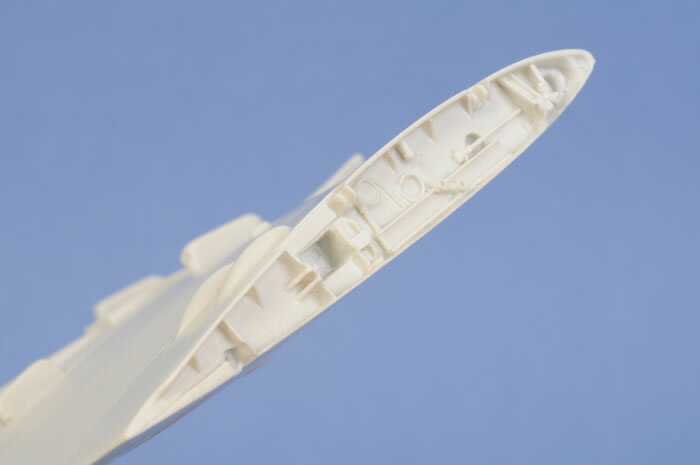 The wing has been specifically designed for the Fisher Model kit, but it may be adapted for use on the Hobbycraft kit. The Hobbycraft wing could certainly use the help! Fisher Models' wing fold is clever, beautifully cast, fabulously detailed and should be easy to install. If you purchased one of the original Fisher Sea Furies, this will be a good investment. But what if you want to use it on a Hobbycraft kit? Is it worthwhile? If you add the purchase price of the Fisher wing fold to the other three Fisher upgrade sets plus the Hobbycraft Sea Fury kit, you will be spending around $155.00. In my opinion, that is too close to the full price for Fisher Model's spectacular Sea Fury kit. If you are only going to build one 1/32 scale Sea Fury, and you are prepared to spend more than $150, I would recommend you pony up with the extra $40 and just buy the Fisher kit. 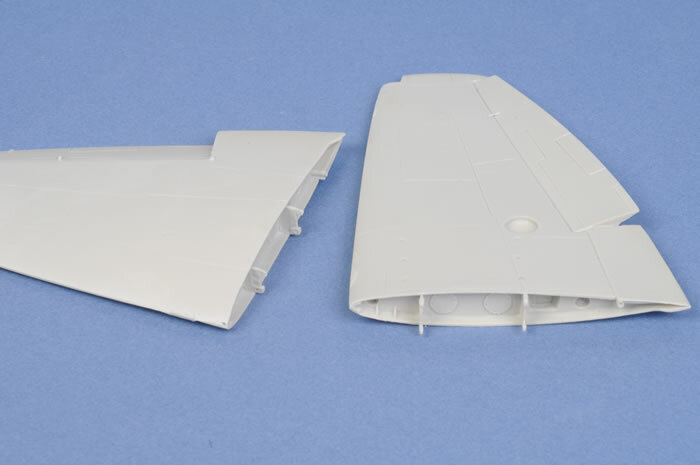 If, however, you already have the Fisher Sea Fury kit and want to buy this wing fold as an upgrade (as I did), then you will have a spare wing left after your modelling project. You could use the spare unflded wing on your Hobbycraft kit. If you add the other Fisher accessories, you'll have a pretty decent second large scale Sea Fury. The choice is yours, but this is a luxurious piece of casting regardless of the eventual donor kit.